With extensive experience in this line of work since past several years of service, we have made a renowned name and fame in the market for the supply and services for Epoxy Grouting Service of building and construction services. We are also facilitating our clients with one of the most exclusive and finest quality services of Epoxy Grouting. Floor Epoxy Grouting is a kind of paint layer which is applied on the walls and floors in order to provide a glorious shine and luster to the floors and walls as well as to prevent them from getting moisture or get damaged by water or damp. 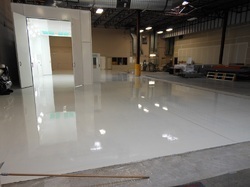 We are providing our clients one of the most exclusive and finest quality services for epoxy grouting contractors. These services help in better application and well-finished epoxy grouting of the cracked walls and floors in order to prevent water seepage. These epoxy grouting services are available at a very convenient range of prices for our clients. Warehouse Epoxy Grouting also is one of the most widely used and demanded services of our company which are also widely being appreciated by our clients for its superb finishing and long lasting effects. Grouting epoxy is a technique which are used to seal the cracks in floors and walls in order to prevent water seepage and damping which also helps in increasing the lifetime of the building. These grouting epoxy services are available for our clients at a very easily affordable and attractive range of prices in the market. 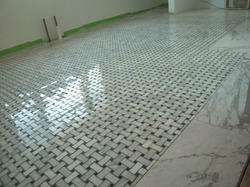 We offer our clients premium grade of Epoxy Grouting for Tiles to our clients which we provide service in the industry. Our grouting tiles services are ideal for achieving long-lasting and flawlessly fabricated tiles application for bathrooms, flooring, counter top cladding for interior and exterior applications. These grouting tiles services are very efficient and convenient with our diligent workers using high strength grouts that are chemically formulated to provide long-lasting functionality. We are offering these grouting tiles services at economical prices. Looking for Epoxy Grouting Service ?